Early detection of SWD is essential to prevent future crop damage. Monitoring traps set-up around the edges of your crop or in fruit trees of interest can tell you when the pest is present. 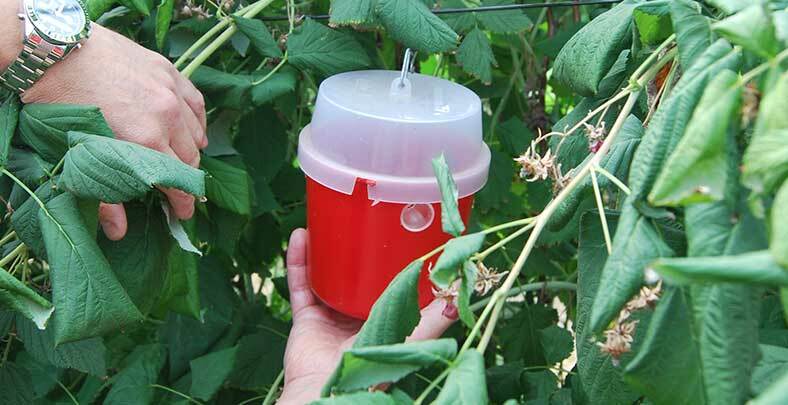 It is ideal to set up the monitoring traps before the fruit begins to ripen, so that you will detect SWD as soon as it is present. 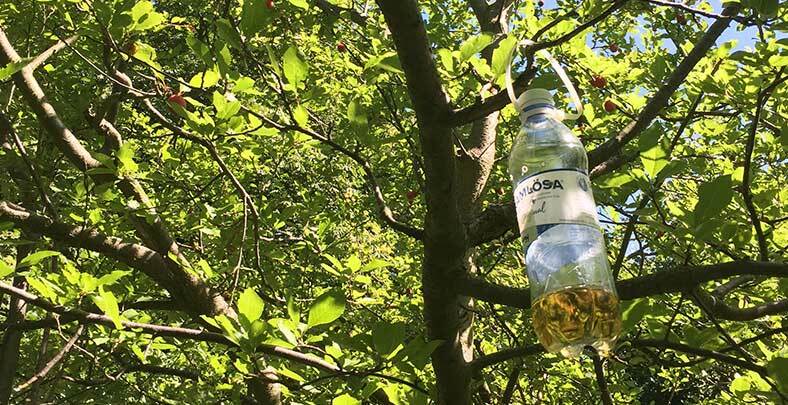 Monitoring traps for SWD can be store-bought (Fig. 1) or can be made from a simple plastic water bottle or cup (Fig. 2). 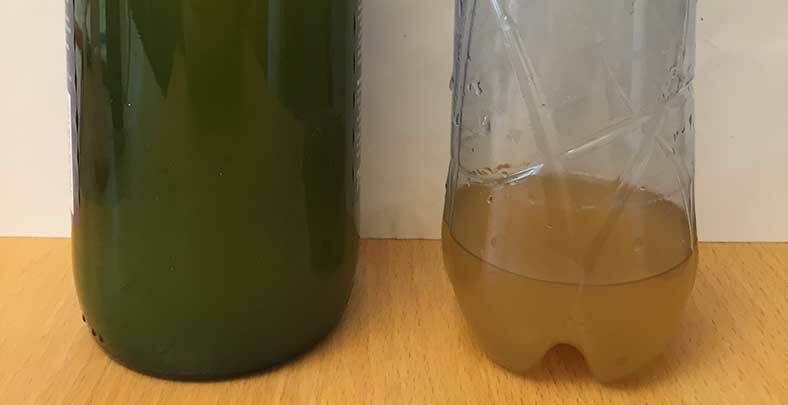 Apple cider vinegar is simple and highly attractive to SWD. 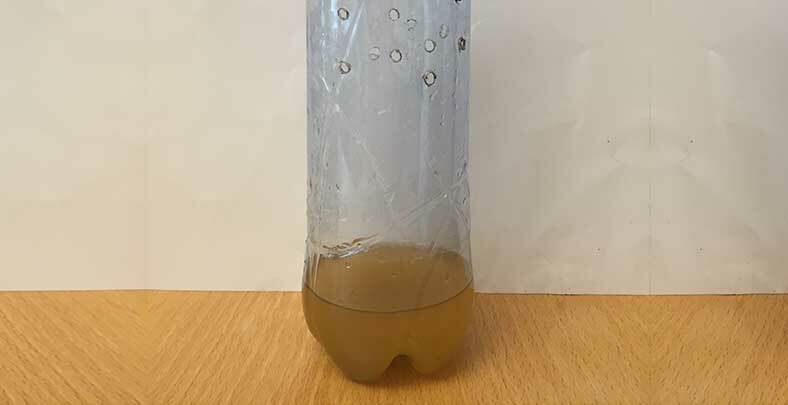 Add approximately 3-4 cm of apple cider vinegar to your trap (Fig. 3,4), and you can also add one small drop of unscented liquid soap to break the surface tension and allow flies to more easily sink into the liquid. Check the monitoring trap once per week for SWD. Contents of the traps can be emptied into a container or filtered with a fine mesh sieve, and placed in a container with a small amount of water. A hand lens or microscope will facilitate the identification of SWD.